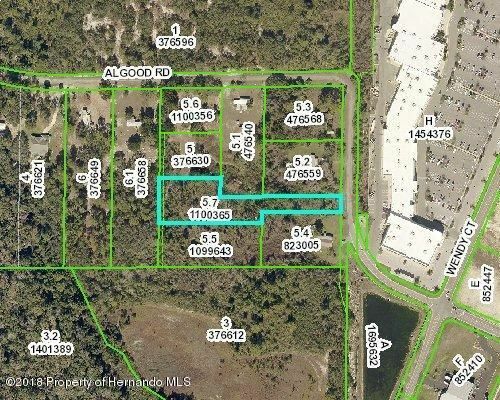 I am interested in 0 Algood Road, Spring Hill, FL 34606. Two large lots available for sale. Zoned Agricultural for mobiles or single family homes. Located close to shopping and Rt 19. Tucked away in a nice quiet area. Owner is selling both lots together.Owner will give a easement from 1365 Algood to first lot for driveway. The impact fees have been paid for the first lot. Both lots are currently separated. You can choose to leave them this way if you wish.